Mid-Atlantic Waterproofing of MD, Inc.
Williams General Contracting Services, Inc. Comment: In the basement there is a crack in the wall and dirt is coming in. It needs to be fixed. Another wall is leaking water when it rains. Do you also certify that mold has been taken care because crack is fixed? 901 W. Ring Factory Rd. Jarrettsville Concrete Contractors are rated 4.69 out of 5 based on 1,070 reviews of 40 pros. 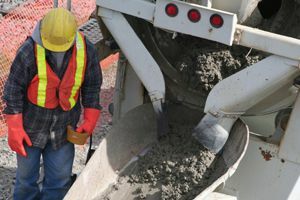 Not Looking for Concrete Contractors in Jarrettsville, MD?